Hello all! I have changed the location of this blog to morefitmeblog.com. I will migrate all of my subscribers, but if you are subscribed via twitter, bloglovin, etc I cannot switch you over. If you still want to receive updates on my blog, please subscribe to the new website. New blog posts are already up. I hope to see you over there soon! This past weekend I completed the Bender Fitness 4 Week Lean Muscle Building Challenge. I really wasn’t expecting much in just 28 days. I mean, I am a realistic person. However, I was pleasantly surprised with the progress concerning my physique in just 4 weeks! The upper back portion of my body looks tighter, my lower back looks the same. My arms have slight definition and look broader. My legs are definitely leaner and stronger. Best of all, my stomach is shows just a little bit more definition and my “love handles” are a little less pronounced. Overall, I am quite happy with my four weeks of progress. This concludes the second phase of my 90 Day Lean Body Building Plan. The last portion concludes with the 21 Day Challenge. Alas I did not make my DietBet goal, but I’m ok with that. I lost two pounds and probably some inches (I did not track the inches “doh”) My overall goal this year is to obtain a leaner body, not lose lots of weight. I will do more comparison photos at the end of the challenge. On a totally separate note, I’m definitely tan! Gotta love Florida! No, I’m not talking about the 21 day fix. MrShutUpandTrain is a personal trainer to many celebreties, and once a year he shares a 21 day challenge for free! The challenge includes workouts as well as meal suggestions. I have been waiting for the announcement, and it’s here. The challenge begins this Sunday and is for 3 weeks. It’s right on time because I finish the Melissa Bender Lean Body Challenge this Saturday and was trying to decide what to do next. I will post pics next week of my Bender Fitness before and after, but in the mean time I am geeked for this total body fitness challenge. What about this challenge appeals to me most? The challenge is actually completely free! There are no shakes, supplements, etc to buy. Its a combo of clean eating and great exercise. All you have to do is sign up here, and you will receive emails with grocery lists and links to the workouts. Check out the website for more details and then join us! Like I said it’s a completely free challenge, so why not? I will be sure to post my results, continue with #whatiatemonday on instagram and I will of course share on social media outlets along the way. It’s time to Shut Up and Train! 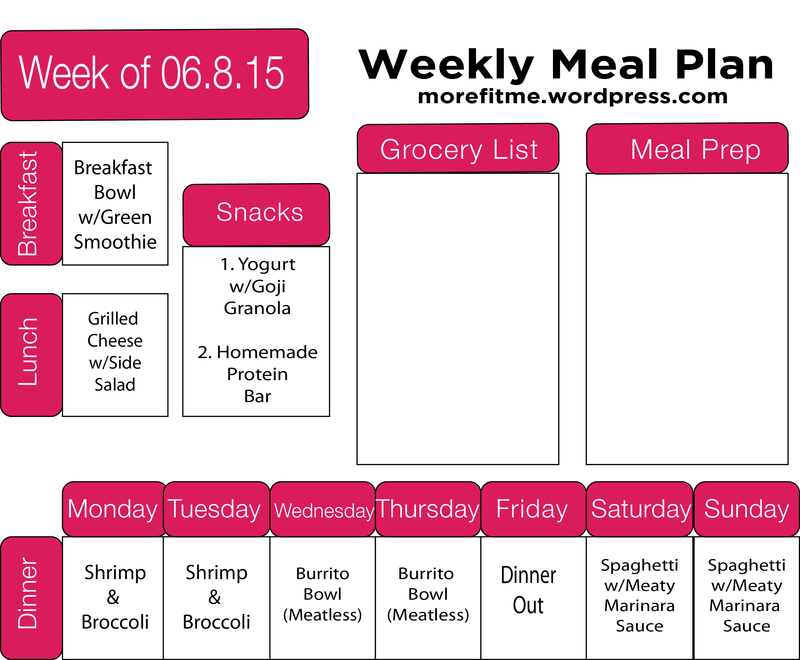 I am thoroughly enjoying this weeks menu! The seafood gumbo is so flavorful, the mini breakfast casseroles are so very easy and filling, and the peanut butter yogurt dip is always a favorite. Last night’s salmon was delicious and I am looking forward to the other meals I have planned. I decided to use quite a few recipes this week. I am still on my quest to try 50 new recipes this year, and this weeks are welcome additions to my arsenal. Below I have included links to recipes from the video as well as on he meal plan above. Mix well and store. Serves 10 in 1/4 cup portions. Please feel free to share some of your favorite recipes with me! 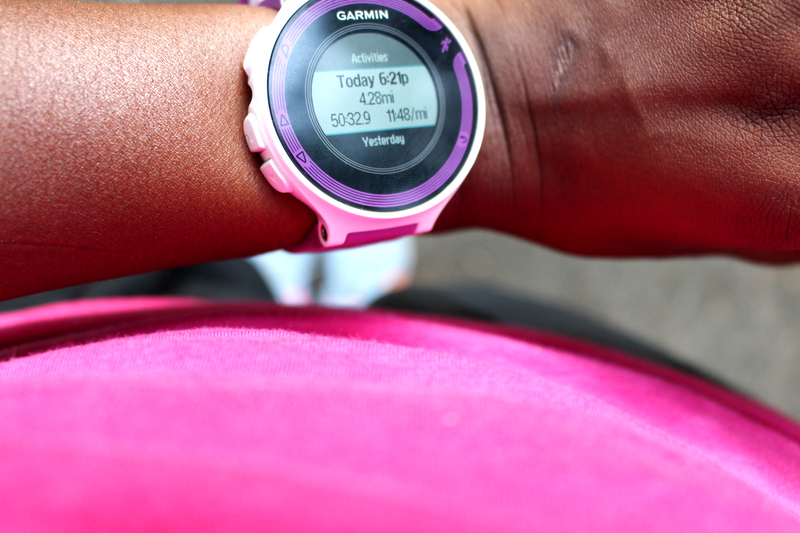 The heat and humidity are in full effect which means slower runs. The temperatures here in Florida are quite high, so I have slowed my runs down by a minute or more, but the length has not decreased. I have upped my base run to 4 miles, which I probably should have done awhile ago. I ran 5 days out of this week and spent six mornings out of the week working through week 3 of Melissa Bender’s 30 day Lean Muscle Building challenge. 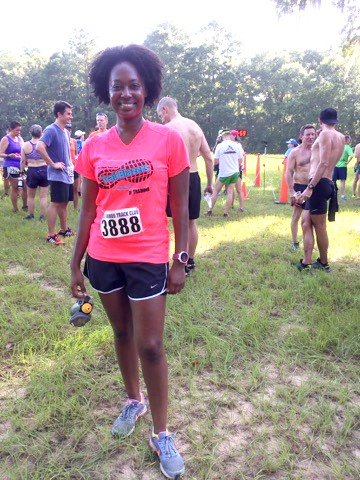 I logged 22 miles this week including a trail race! 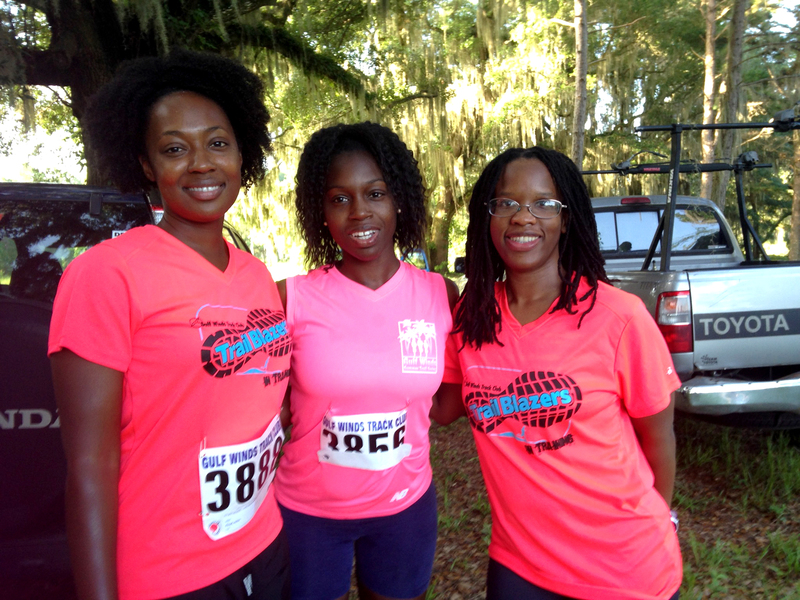 The race was full of roots, humidity and fast runners (of which does not include me). 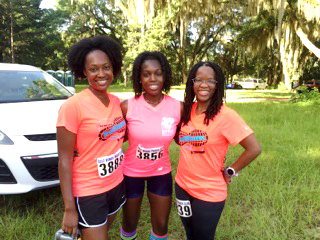 My BGR #solesistas joined me and kept the 4.6 miles entertaining. The next trail race I have signed up for is next month at 4.5 miles and I hope to finish in under an hour. I am adjusting to the humidity, but it’s a slow process, none the less I am hoping that I will have adjusted by then. I am still in maintenance mode until I begin training for my next marathon late next month. I’ve been eating my homemade protein bar as pre-running fuel. This weeks menu was quite delightful. I always enjoy a sweet potato based breakfast bowl, and with good meal prep, its an easy morning meal to prepare. 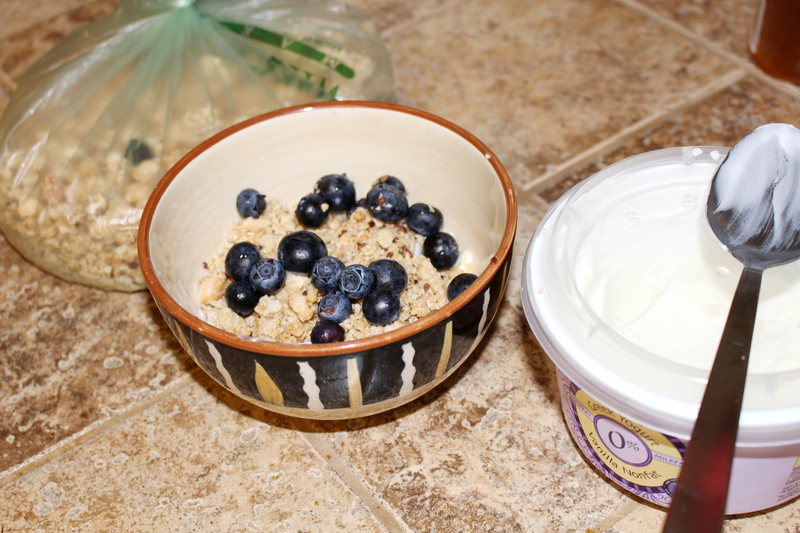 My favorite meal this week has been my snack which was 1/2 cup Vanilla Greek yogurt, 1/4 cup Goji Agave Granola and 1/4 cup blueberries. Trader Joe’s Nonfat Vanilla Greek Yogurt is such a treat. It is high in sugars, but considering the other meals in my day I’m not concerned. Next week’s meal plan will post tomorrow. This past week, the favorite Instagram post from my #whatiatemonday series was a tie between Vegetable Fajitas and a Green Smoothie. 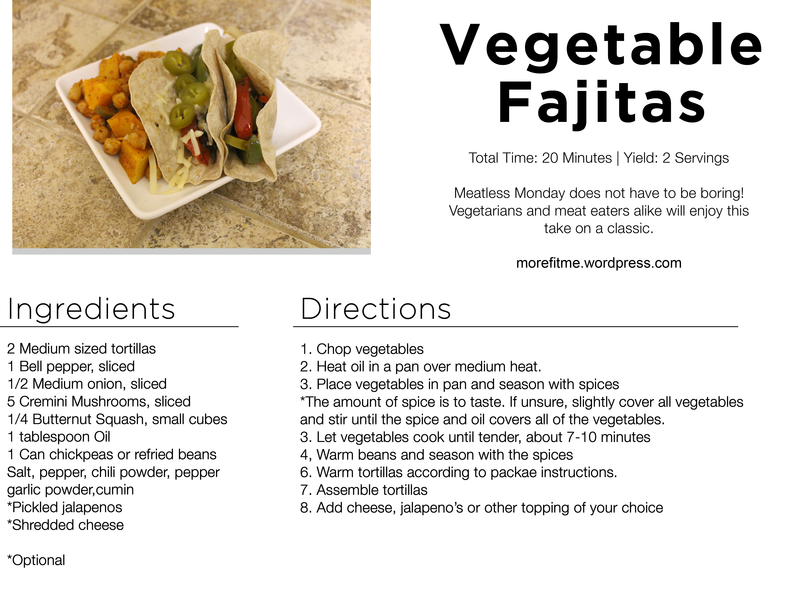 I’ve talked about green smoothies before, so I decided to share a recipe for Vegetable Fajitas. I reserve two dinners a week as meatless meals, this means that I have really been stepping out of my box for dinners. 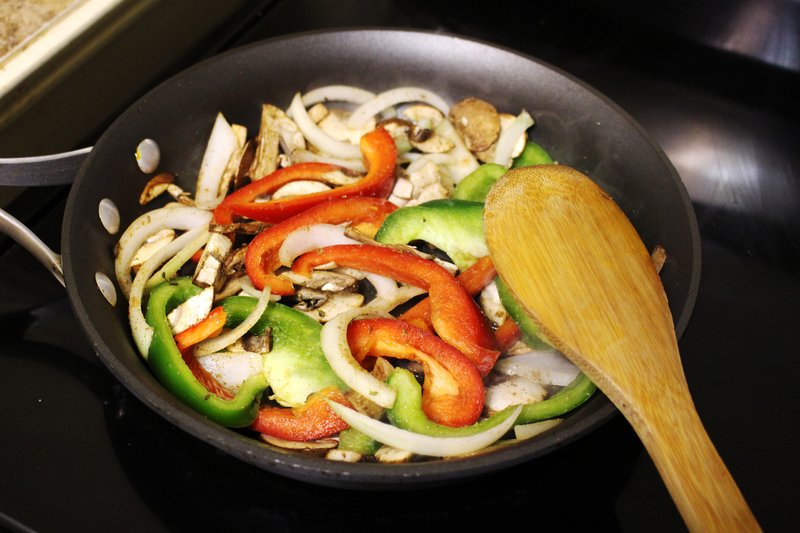 A couple of months ago, I made fajita vegetables for a burrito bowl. 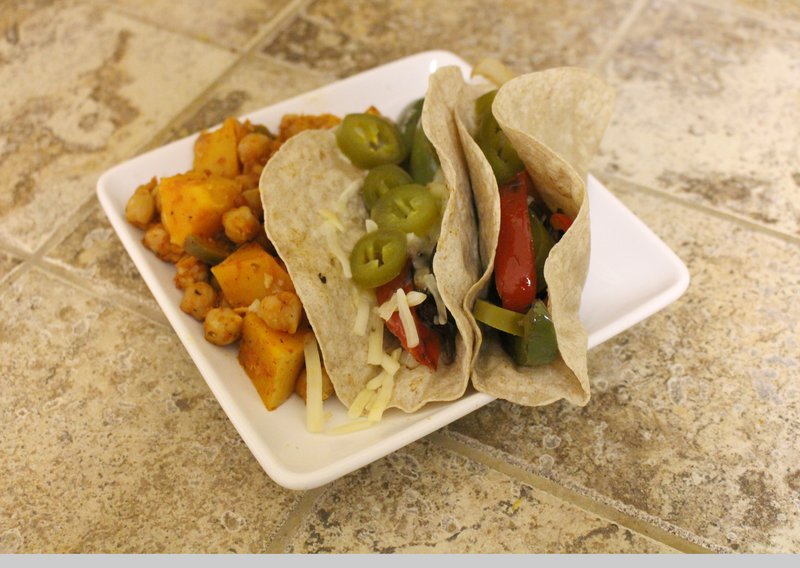 I was rooting through my fridge, saw some tortillas and it hit me, Vegetable Fajitas!!! Well let me say, I haven’t looked back! This delicious treat is a hit not just for me, but for the man in my life as well. I like to use beans that I have cooked in a tomato sauce or a sofrito as the base in my fajitas, but you can still just open a can and season well. I try to stay away from refried beans as a healthier approach to tasty food. Let me know what meatless meals you enjoy as I am always looking for new recipes to try!